One aspect of non-compete law that is subject to wide variation across jurisdictions involves the so-called "blue-pencil" rule. In reality, it is much more than that. The concept is whether a court is allowed to tailor, reform or modify an otherwise overbroad covenant to make it reasonable under the law. To call it the blue-pencil rule is actually wrong conceptually. That is but one approach. The far more common rule, as shown below, is to allow a court to modify or reform a covenant in its discretion. Blue-penciling a covenant permits a court only to sever or strike offending language from the contract. It is a mechanical exercise, with an overlay of judicial discretion. "Employee agrees not to work in any sales capacity for any business competitive with the Employer for a period of six months in the following Illinois counties: Cook, DuPage and Kane." Under the blue-pencil rule, a court could strike out DuPage and Kane if the employee only sold to customers in Cook County. However, if the employee worked in product development - and not sales -the blue-pencil rule would not work. The court could attempt to strike out the words "any sales capacity," but then the covenant most likely would be overbroad because it encapsulates too many work activities. The blue-pencil rule would not allow a court to add its own terms, such as "any product development position." However, under the equitable reformation doctrine, a court could substitute (even rewrite) the covenant to prohibit the employee from working in product development for a competing organization. There is much more flexibility in this approach. The difference in the two rules - reformation vs. blue-pencilling - is subtle and highly technical, but it can be outcome-determinative. Sometimes it won't make a difference at all. 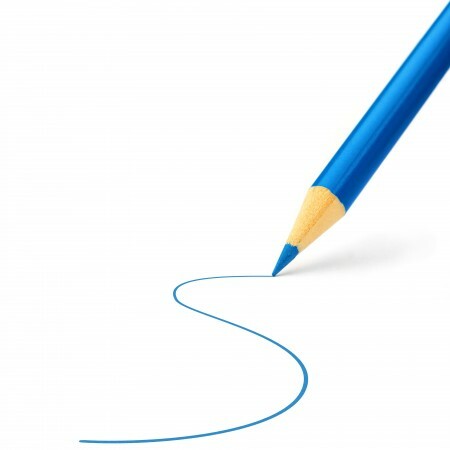 In a blue-pencil state, attorneys have a much more arduous task in drafting agreements, and one-size-fits-all contracts truly won't work in a legal dispute. 1. Court Will Not Reform or Blue-Pencil Covenant. 2. Court Only Will Blue-Pencil Covenant. 3. Court Will Equitably Reform Covenant. 4. Court Must Reform Covenant. 5. Approach Is Unclear From Case Law or Unresolved. The above summary does not apply to sale-of-business non-competes, where judicial reformation of covenants is much more prevalent. Also, some courts say they will "blue-pencil" covenants when really they reform them. I'm in the State of New Mexico. I am an independent contractor for a company that has their headquarters in Indiana. They didn't have a non-compete clause in the actual agreement, just within the policies and procedures. It has no geographical limitations set, just a 24 month time frame. I am a mere independent contractor with no trade secrets or confidential information. I only have access to the customer list of the individuals I enrolled for a commission with the company. How strong is their case against me if I choose to go off and start my own business? I cannot afford to live off the limited means I earn from them. If I were to venture off on my own, I could earn about 7x as much as I am now in just a year. Thanks very much for the post. I'm doing a paper on this subject. I wonder about your sources though for placing each state in a particular category. The blue-line rule is used up in Canada also. Courts are highly reluctant to adjust the terms of a non-competition covenant. The most recent SCC decision on this issue was strongly against such pragmatic adjustments. Insurance agent MS sold his Vancouver agency in 1987 and continued to be employed under contract which was renewed repeatedly, and which included non-competition clause applicable to "Metropolitan City of Vancouver" — MS left his employment in 2000 and in January 2001 began working as insurance agent for another agency in Richmond — Trial judge dismissed employer's action for breach of restrictive covenant, finding term "Metropolitan City of Vancouver" neither clear nor certain, and in any event, unreasonable — Court of Appeal reversed trial judge's decision, finding restrictive covenant reasonable and enforceable, and applying doctrine of notional severance, construing term "Metropolitan City of Vancouver" as applying to "City of Vancouver, the University of British Columbia Endowment Lands, Richmond and Burnaby" — MS appealed — Appeal allowed — Court of Appeal erred in rewriting restrictive covenant as it did — Term "Metropolitan City of Vancouver" was ambiguous and there was no context or other evidence demonstrating mutual understanding of parties at time contract was entered into as to what geographic area it covered — As trial judge found restrictive covenant was unreasonable, it was inappropriate for Court of Appeal to rewrite geographic scope in restrictive covenant to what it thought was reasonable.